The Yacht Charter destination Malta, only about 50 miles away from Sicily, played a very important role for the crusaders strategicall. But only recently has this archipelago between Europe and Africa with the main island Malta, the island Gozo and the small island of Comino in between been discovered as a Yacht Charter beat. Nowadays sailing yachts can be chartered directly at the Yacht Charter base in La Valetta. 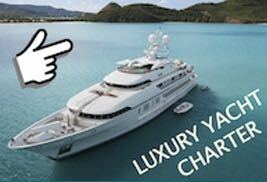 The distances aren’t long, the whole island group can be easily explored by Yacht Charter crews when setting off for instance from the main town. The stretch round Malta measures only 40 nautical miles, from Valetta to Comino its only twelve, from there to Gozo only four miles – and with only 25 miles, the tour round Gozo too is a leisurely day trip for Yacht Charter crews. During a two-week trip Yacht Charter sailors can reach Sicily and Lapendusa as well. Whereas Malta is rather rocky, Gozo is distinctly greener – it’s here that Yacht Charter crews will find heavenly beaches! On Malta, blessed with a mild climate thanks to its proximity to Africa, Yacht Charter crews can sail throughout the year. The crusaders, Arabs, Britons and the Italians have left their distinct mark – also in the language of the Maltese – be it only due to the geographical position. However – legacy to the Englishmen – everyone converses in English without any accent, one pays in Euros, the mood is serenely Italian, the pub culture international: British pubs, Mediterranean cafes…the perfect mixture for an agreable and relaxed Yacht Charter cruise. But beware of the traffic, even on foot: on Malta it’s driving on the left or often enough simply in the middle of the road! Highlights for Yacht Charter crews ashore: In the capital Valetta you can follow the traces of the crusaders and the Knights of St. John, Fort Elmo is visible long before you enter into Grand Harbour, you can still sense Arabian roots in the former capital Mdina. 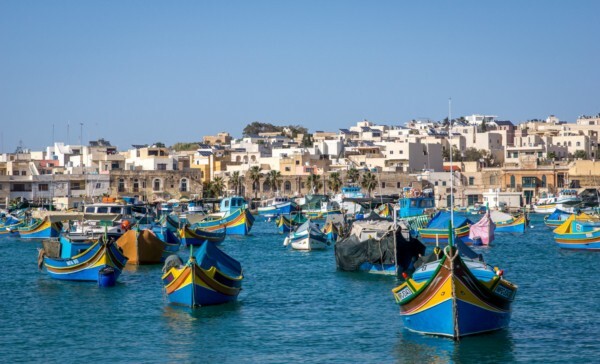 Worth seeing: the picturesque fishing-harbour Marsaxlokk with a wonderfully colourful market and anchorages outside of the harbour.